The Red Trained Operator card will only for 2 years. In this time you are required to undertake the relevant NVQ in order to upgrade your card to the Blue Competent Operator Card. The red card cannot be renewed, the only way to remain in the CPCS scheme is to complete the relevant NVQ. To complete the NVQ you will be required to submit work based evidence and also complete an assessment by observation with the assessor. 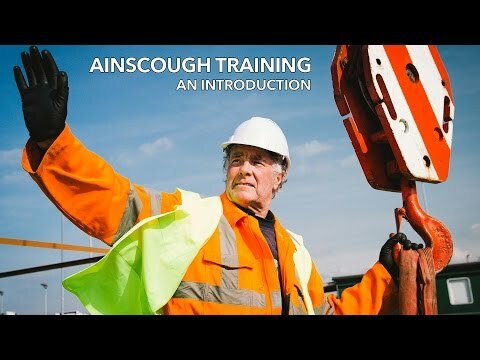 Ainscough Training Services is an accredited Cskills Awards centre offering NVQs relating to the lifting industry. For all the CPCS training we offer we also offer the corresponding NVQ so we can take you through the whole process from start to finish. Please see the 'NVQ' menu above to view our full list of categories that we offer. The Experienced Worker Practical Assessment (EWPA) route was introduced to provide an alternative to the traditional OSAT method of portfolio building and on site assessment. It is used to assess experienced learners who would prefer to demonstrate their competence using a one-off practical assessment. It is designed specifically for learners who have a minimum of 2 years experience in the relevant occupation but are unable to arrange an onsite assessment or gather sufficient evidence for the portfolio. Once you have completed the NVQ you will be entitled to apply for the CPCS Blue Competent Operator card. This card lasts for 5 years and is renewed via the CPCS renewal process.